FTO is constantly striving to provide the best quality products to meet our client’s needs. With this in consideration, FTO is able to design, manufacture and integrate all the components of most systems in addition to our fiber capabilities. 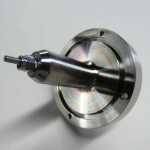 Therefore, all the parts of most systems FTO sells, are made in-house. This allows for peace of mind for our clients, knowing that we build quality integrated products with optimal compatibility. 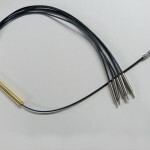 Fiber optic vacuum feedthroughs are used for making connections between a vacuum (or pressure) chamber and the outside world. Click here for more information. FTO combiners allows for fiber coupling with high coupling efficiency over a wide range of wavelengths into one output fiber.